It’s now possible to bring the BBQ with you everywhere. 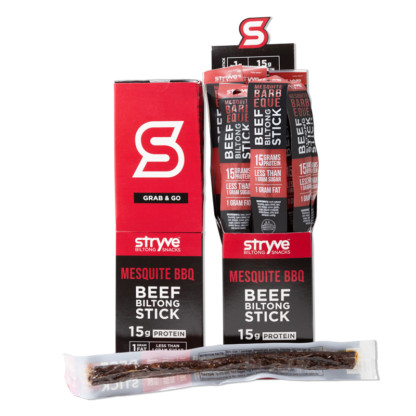 Using a carefully crafted combination of our signature spice blend, natural mesquite smoke, sea salt, garlic and just a hint of sweet, we created a mouth-watering flavorful stick with 15 grams of protein and 1 gram of carbs. 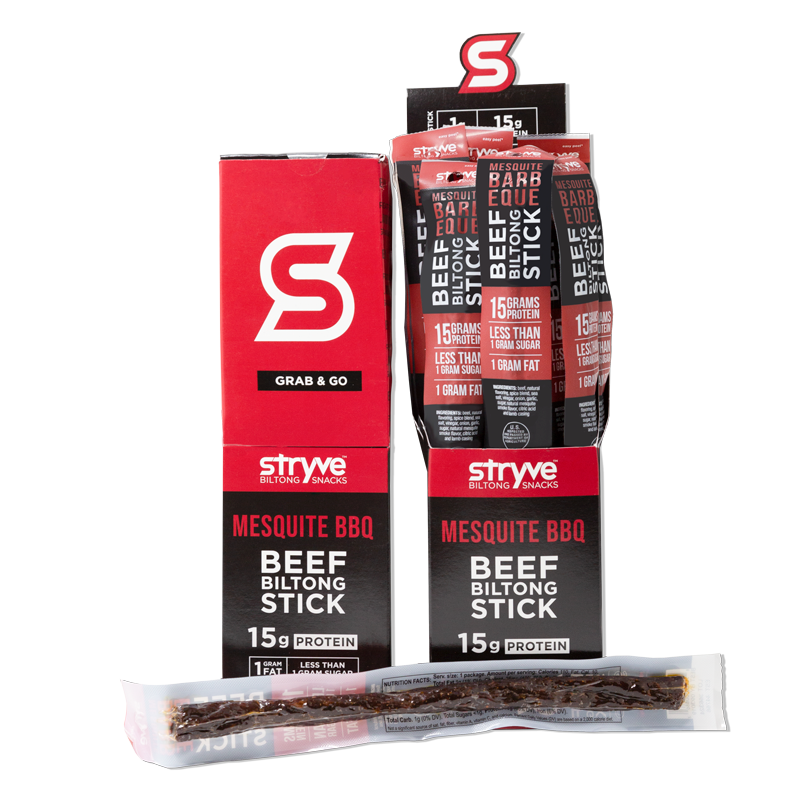 Our Mesquite BBQ Beef Biltong sticks will be your new favorite snack on the go. The BBQ flavor is spot on. 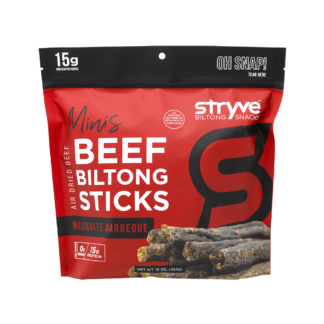 These sticks are also much less greasy than other meat sticks. 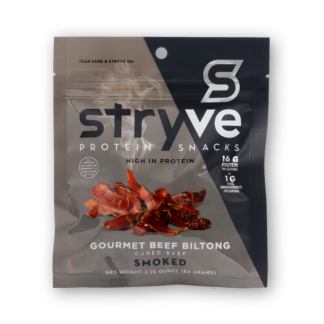 Healthy snack that tastes great – a winner! Great taste. 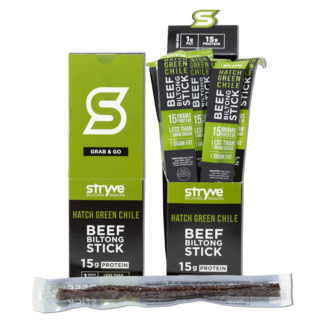 Better than other beef sticks by far. The taste is outstanding. The texture is firm, meaty, with little fat. You can tell it is made with high-quality beef. It is perfect (and healthy). 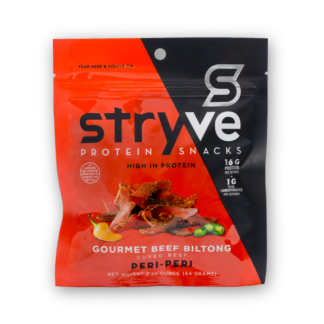 Stryve, don’t change a thing!